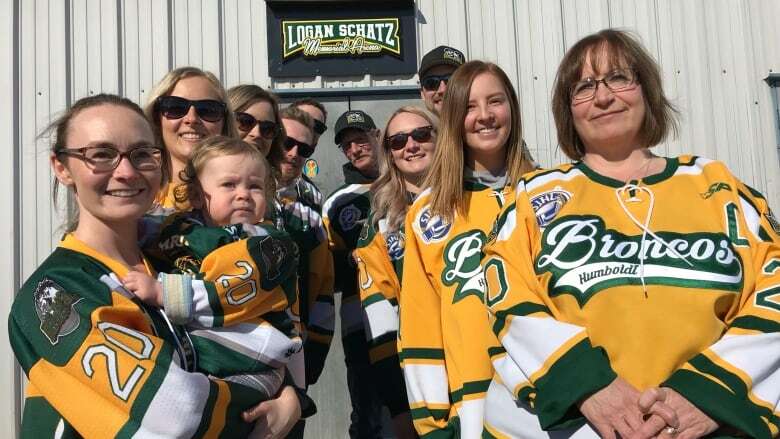 The Allan, Sask., arena has been officially renamed the Logan Schatz Memorial Arena, after the 20-year-old former captain of the Humboldt Broncos’ team, who was among those that died in the Broncos’ team bus crash. Logan Schatz got his passion for hockey at a young age, skating for hours at his hometown rink in Allan, Sask. "When he was little, I was caretaker of the rink. I had keys even if it wasn't open, I'd be able to get him in here and he'd skate," recalled his father, Kelly Schatz of his son. "He'd spend hours out there. You had to drag him off the ice." Now that rink will forever bear the young hockey player's name. 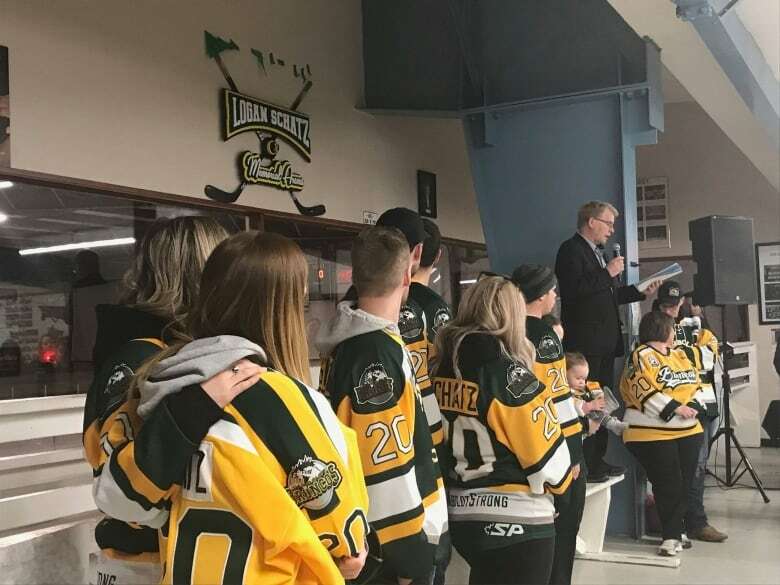 The town officially renamed the Logan Schatz Memorial Arena after the 20-year-old former captain of the Humboldt Broncos' team, who was among those that died in the Broncos' team bus crash on April 6, 2018. "This ceremony is part of Logan's legacy," Mayor Les Alm told a crowd filled with supporters and Schatz's family, wearing the familiar Broncos' colours of green and gold. As the family watched, holding hands and with their arms around each other, Alm unveiled the sign, crafted by Schatz's former teacher, Brian Hinz. The design incorporates two of Logan's hockey sticks, which Hinz approached the family to see if he could use. "I was reluctant to hand over any of Logan's sticks, but now seeing them, it's beautiful," said Bonnie. Logan started skating at the age of three and it didn't take long for him to show off his natural skating abilities, his dad said. "I remember telling my oldest boy, he's going to do well. He was only 5," Kelly said, recalling his son was often chosen to captain his team and who could be counted on to deliver a game-tying or winning goal. 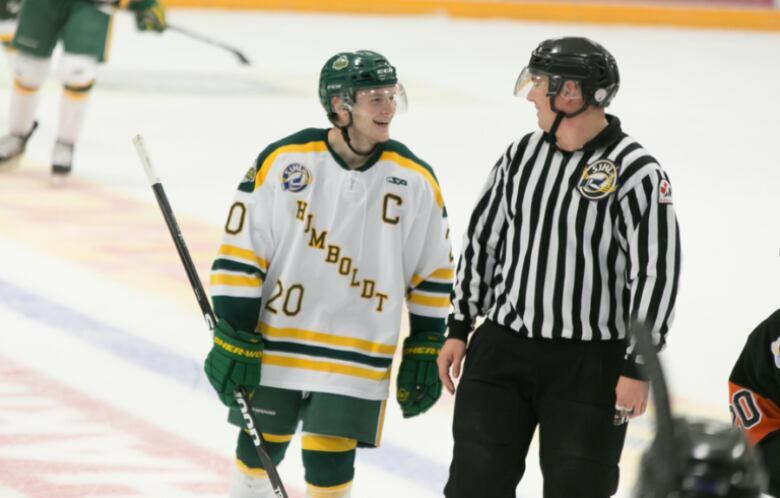 Those leadership skills saw Logan chosen as captain for the Broncos as well, when he was only 18-years-old, with Kelly saying with quiet pride how rare this was in the Saskatchewan Junior Hockey League. Both parents say they've been touched by their town and community's support since Logan's death last April. "We are so honoured, as we know Logan would have been," said Bonnie, with both saying every time they drive by the rink, they'll see their son's name. Kelly says it's a fitting tribute for his son, knowing he ended right back where his love of hockey first began. "You often wonder, is he going to stay remembered as time goes on? You know he will be," said Kelly.